For a healthy body, it is important to load up on essential nutrients. One of the most crucial nutrients the body requires is protein. Proteins are large, complex molecules that play a key role in the body. It helps keep your muscles strong and healthy and is required by each and every cell of the body. Basically, it takes care of your skin, hair, fingernails, bones, blood and cartilage. Let’s take you through how protein works in our body. Protein is used to transport haemoglobin that carries oxygen to all the cells of our body, or specialised proteins that carry vitamins and minerals to the cells that need them. While loading up on eggs, poultry, milk and fish are great sources of protein; there are some vegetables as well that are super rich sources of protein. We suggest some amazing protein-rich vegetables that you must definitely include in your daily diet. Mushrooms contain sufficient amount of protein; however, they do not have entire protein molecules. They miss out on the amino acids that our body cannot make itself. Mushrooms can be made complete proteins when combined with foods that make up the missing amino acids. So you can mix mushrooms with broccoli or even corn to make it complete protein and healthy. Broccoli delivers a fair amount of protein and zero fat and fewer calories. It makes for a great food full of vitamins, minerals and antioxidants that promote a healthy body. Peas are a good source of vegetable protein along with having a decent amount of fibre. In fact, these tiny delights are low in fat and have zero cholesterol. If you haven’t added peas in your diet, it’s time you do. Add peas to curries, salads and all things good! Kale is another great source of plant-based protein. Moreover, it contains phenolic compounds that give them antioxidant properties. You can easily steam, boil or saute kale and consume on a daily basis for maximum benefits. 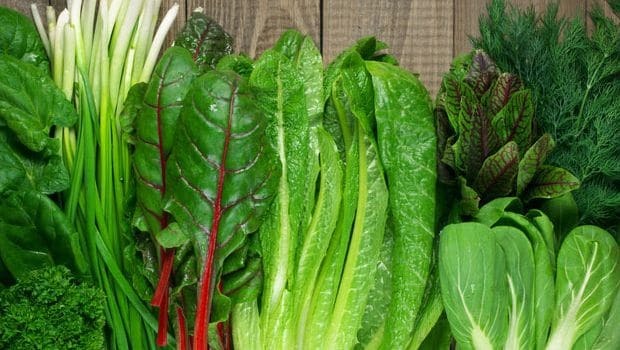 Spinach is believed to be one of the most nutrient-dense leafy green vegetables you can eat. It is said that protein accounts for 30 percent of its calories along with essential amino acids. A popular vegetable with high nutrient content, asparagus is one rich source of protein along with copper, manganese, phosphorus, magnesium and B vitamins. Asparagus can be grilled, boiled, steamed or even pan-fried. Like broccoli, cauliflower provides a high amount of protein for the number of calories it is said to deliver. This versatile vegetable can be adapted to a variety of recipes. Pretty low in fat, sweet corn is a great source of protein and meets about nine percent of your daily protein requirement. Make sandwiches using corns, use them into soups and add them to your salads to ensure a healthy you. Go on and add these protein-rich vegetables that will help keep you healthy.